The cambering presses from Profi Press with an electro-welded ‘C’-structure are made out of ST-52.3 steel and eminently suitable for straightening and bending large profiles, bars and beams. These hydraulic straightening presses are equipped with a supporting back table (made out of CK-42 stainless steel, with two ‘T’ DIN-650 grooves and with two support blocks) as well as a pushing main table (made of CK-42 stainless steel, with four cylindrical, lateral guides, two ‘T’ DIN-650 grooves and one support block). These cambering presses are provided with a height-adjustable accompanying roller at both sides of the machine and are equipped with a double acting cylinder (including anti-turning) with chrome plunger, stroke endings to regulate the cylinder stroke, a pressure regulator, gauge in tons and a two-speed motorized hydraulic unit with automatic disconnection of the high speed. The control panel of this straightening press features a selector for manual or (semi-)automatic operation and a selector for the two different cylinder speeds (fast approach speed and slower working speed). Operation is carried out by low voltage electric pedals. 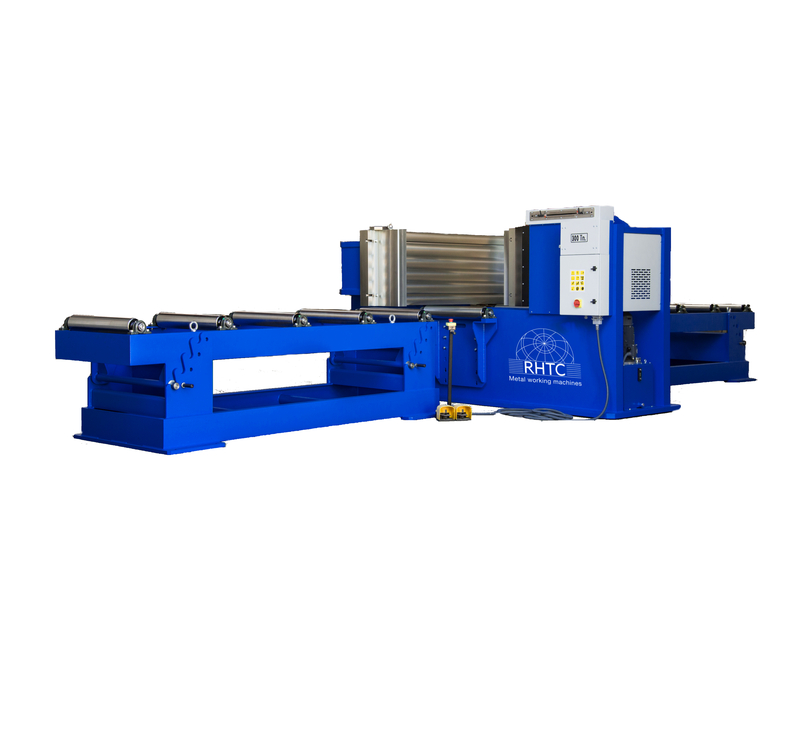 These hydraulic cambering presses can be delivered with several options such as side benches with guide rollers, a larger piston stroke / vertical light, CNC-control or the geometry adapted to your needs. RHTC delivers these presses with a two-year guarantee. These straightening presses are made in Europe and fulfil the latest CE-regulations.